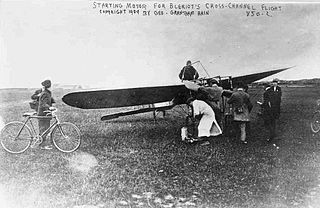 Louis Bleriot became the first person to fly a plane across the English Channel. He left Les Baraques, France, in 1909 and landed in Dover, England. The trip took 36 minutes 30 seconds. The Daily Mail, a British newspaper, had offered a reward of £1000 to the first successful aviator. Bleriot received the reward, and he instantly became famous. Children could read the 1984 Caldecott Medal book The Glorious Flight: Across the Channel with Louis Bleriot, July 25, 1909 by Alice Provensen and Martin Provensen. Matthew Webb in 1875 became the first person to swim the English Channel. He started in Dover, England, and finished near Calais, France, less than 22 hours later. Delaware became the first state of the United States by ratifying the Constitution in 1787. The state was named after Thomas West, Lord De La Ware. The Dutch arrived in 1631. The Swedes followed in 1638 and established the first permanent settlement, Wilmington, in the colony. Dover is the capital of this smallest but one state. Its nicknames are the First State and the Diamond State. The ladybug is Delaware’s official state insect. Children could visit an Internet site at: Delaware. They could research why Delaware is called the Diamond State. Are diamonds mined there? 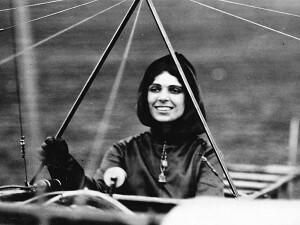 Harriet Quimby in 1912 became the first woman to fly solo over the English Channel. She flew from Dover, England, to Harclat, France. She was welcomed as a hero in France, Great Britain, and the United States. Children could read more at: Harriet Quimby.